Numerous Israel-related articles appearing in the National Geographic Society's magazine for many years have contained false history and political statements disparaging the Jewish nation. The trend continues on NG's cable TV channel. Following communication with CAMERA's Israel office, National Geographic corrects a caption which erroneously identified the Western Wall as Judaism's holiest site. The Temple Mount is the most sacred site in Judaism. 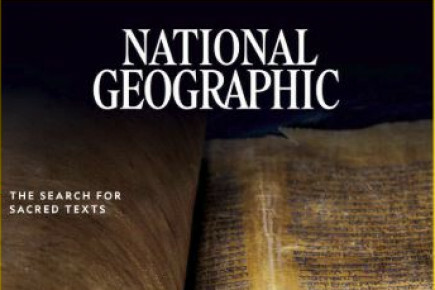 The May issue of National Geographic Traveler magazine features an article, "Jerusalem by the Book," in which the author returns to Jerusalem with a guidebook written by his parents in 1951. Unfortunately, when he ventures into territory liberated by Israel in 1967, the author steps into politics and outside the confines of journalistic accuracy.